The RAF Memorial Flight Club, which is operated for the RAF Battle of Britain Memorial Flight by TRMG Ltd (company registration number: 3285694). Our address is Winchester Court, 1 Forum Place, Hatfield, Hertfordshire, AL10 0RN. You will find our contact details at the end of this Notice. To manage the RAF Memorial Flight Club and to request and process membership payments when they are due. To provide the Club’s membership benefits; a membership pack, a membership card, a twice-yearly membership magazine and monthly email newsletters. To provide news and information that we think will be of interest to you. To promote membership of the Club to non-members and expired members. To allow the efficient management of the Club and provision of your membership benefits. To provide regular email news that we think will be of interest to you. For direct marketing purposes; to promote membership of the Club. 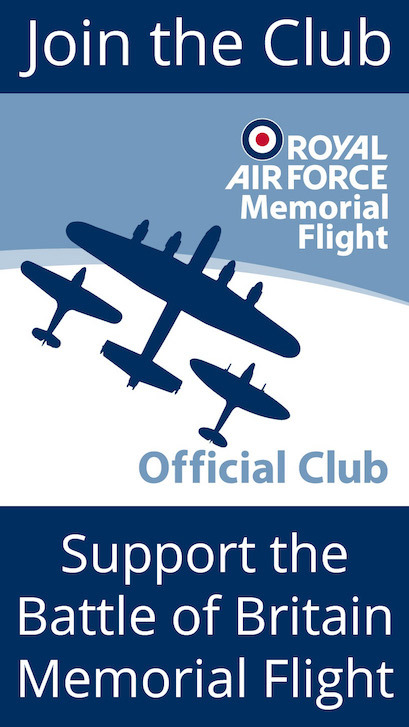 We keep your Personal Data for as long as you are a member of the RAF Memorial Flight Club. If you have not yet joined the Club or are an expired member, we will keep your information for no longer than we reasonably need. Usually, this will be for a period of six years to allow the effective promotion of Club benefits. You can contact the Information Commissioners Office on 0303 123 1113, via email or at the Information Commissioner's Office, Wycliffe House, Water Lane, Wilmslow, Cheshire, SK9 5AF.